This page provides a list of recent jury verdicts and settlements involving ManorCare and, further below, a list of lawsuits that have been filed against this nursing home. Elsewhere on our website, we write about what you can expect if you have a potential claim against ManorCare. 2016, Pennsylvania: $350,000 Settlement. A 79-year-old woman resides at a ManorCare facility. While there, she has over 30 falls, which leave her with various injuries including a right hip fracture, multiple pelvic fractures, a sacral fracture, a chest wall fracture, and multiple subdural hematomas. Her Estate also alleges that the staff at the facility abused and neglected her, which caused the woman to endure resident-on-resident abuse, rough handling by the staff, multiple infections, and unsanitary living conditions. Her Estate also alleges that there was not a care plan implemented to ensure the woman did not fall. The defendant denied negligence, and settles the claim for $350,000. 2015, Pennsylvania:$523,000 Verdict. A man is admitted to Hampton House Rehab Center following surgery to remove hardware in his ankle. At the time of his admission to the rehab center, he has chronic obstructive pulmonary disease, asthma, and diabetes, and was to receive antibiotics to help prevent a bone infection. However, he does not receive these antibiotics. One month later, he does not feel well, and develops a fever and fluctuating oxygen and respiration levels. Defendant doctor is called several times but orders Tylenol instead of personally examining the man. Two days later, the doctor orders a CBC and metabolic panel, which indicates that the man is in respiratory distress. He is taken to the ER, where despite treatment, he dies the following day from sepsis. His Estate alleges that the doctor was negligent in failing to timely assess the man for infection and in failing to recognize the symptoms of respiratory distress and sepsis. A jury finds that the doctor's care fell below standard, and awards the man's Estate $500,000. A post-trial motion added delay damages of $23,000. 2014, Pennsylvania:$150,000 Settlement. A woman goes to a Manor Care facility after surgery for post-surgical recuperation. Her Estate alleges that while she was there, she died due to complications arising from a sacral pressure sore developing. Her Estate alleges that the staff did not timely recognize and remedy the problems with the care the woman was receiving, as they did not provide proper skin care treatment or pressure ulcer preventive measures. The defendants contend that the woman had many health problems upon her admission to the facility, including pancreatic cancer and type II diabetes. The parties settle for $150,000. 2014, Pennsylvania:$110,000 Settlement. A man falls at his house one day, and sustains a cervical fracture with quadriparesis, requiring surgery. After the surgery, he is discharged from the hospital and admitted to the ManorCare facility. When he is admitted, two areas of skin concern are documented on his coccyx and left buttock, and he is considered a high risk for skin breakdown. Over the course of a few months, he suffers more injuries and he develops stage IV pressure ulcers on his back, buttocks, and heels. Additionally, he develops MRSA and a UTI from a catheter malposition and he suffers a fall from his bed. He goes to the hospital multiple times during his stay at ManorCare. His Estate alleges that these are examples of the negligent care he received. He is eventually transferred to a different nursing facility, but dies from complications of his injuries. The defendants argue that his injuries were due to his underlying medical conditions and not their negligence. They settle for $110,000 before trial. Below are a list of lawsuits filed against ManorCare. 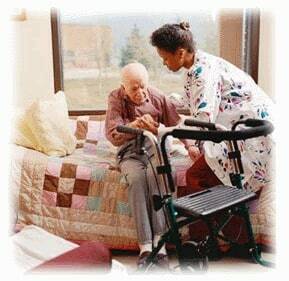 Miller & Zois handles only wrongful death and catastrophic injury nursing home cases. If someone you love has suffered at the hands of ManorCare, call us today at 800-553-8082 or get a free online consultation.